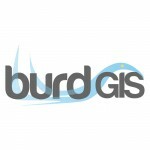 burdGIS provide training and consultancy in Geographical Information Systems (GIS). Since 2011 hundreds of students have benefited from our training courses. If you would like to request a course or require advice on GIS related projects please contact us.